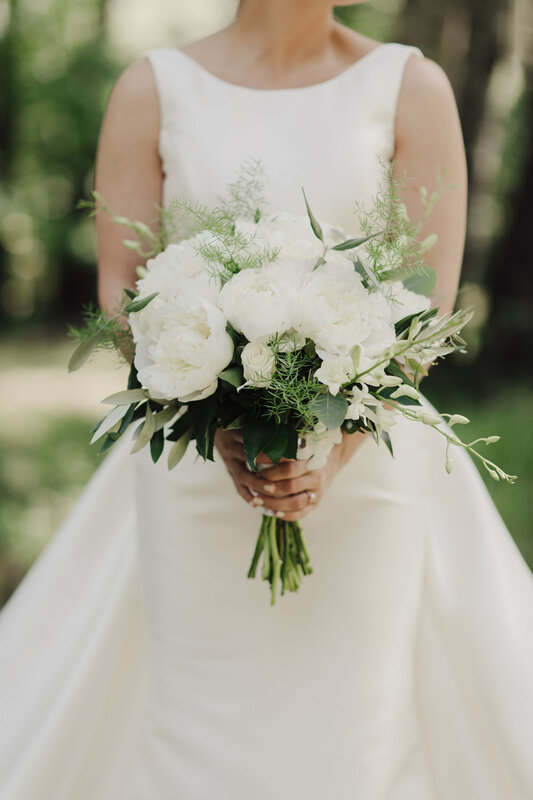 My Wedding Dress + Tips for Choosing Yours — shelbey w.
It's been 7 months since Will and I tied the knot. It's actually kind of crazy how fast time flies once you get older, and especially when a big event is happening in your life. Will and I got engaged in March of 2016 and were married in May of this year. I have to say, one of the most exciting parts of being engaged is going to try on potential dresses. I still, to this day, have an unhealthy obsession with wedding dresses and designers (one of my friends just got engaged and we text dress photos back and forth for hours on end). When we first got engaged, I knew little about designers, dress styles, fabric, etc. After my second appointment to try on dresses I really gained an appreciation for certain fabrics and designers, so I started researching more. 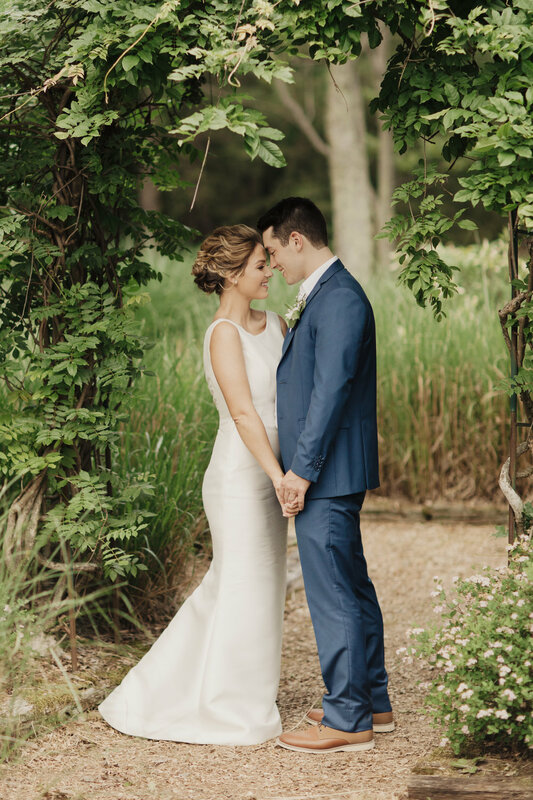 From the beginning I had a clear vision in my head for what I wanted: Clean, no beading, no sequins, no lace, definitely no sweetheart neckline, and preferably Pronovias as the designer (I swear I'm normally not a designer brat but I LOVE Pronovias gowns). Why was this "The One"? Let's start out by saying I was definitely not looking for what the popular trend is in my area for wedding dresses. I had a specific style and look in mind (as stated above). There was absolutely not to be any beading, sparkle, lace, embellishment, etc. on the dress. Oh, and forget about a strapless or sweetheart cut. My dress was actually the first dress I ever tried on - and guess what? It was a Pronovias! My Dad even said, "That's the one for you!" The thing is, there was NO WAY I was committing to one dress and missing out on "the experience" of going to different appointments and trying new styles, so I didn't fully commit to it on the first day. My dress has a bit of a unique twist to it, the train is detachable. The first time I tried it on, I didn't think I would be into the long extravagant train, so we tried it without. Although I loved the shape and fit, I just felt like it was missing something. So, we left that day empty handed and went on to another appointment a few weeks later. After leaving empty handed from my second appointment, I got a call from the girls at the first place I tried on my dress saying they had another Pronovias they thought I would be interested in. We went over and tried it on. It was a total dud. I was feeling slightly disappointed when my Dad asked if I would try on the Pronovias dress from my first appointment, only this time wearing the train. I agreed and they brought it back out for me to try, this time including the train. Well, I can definitely say the train is what did it for me. It added this unexpected drama that I wasn't initially looking for. It was still clean and classic, just like I had envisioned, but also had this enchanting back and train. People kept saying, "You'll change your mind once you try on" or "I chose something completely different from what I thought I wanted". I can truly say that this is the dress (but better) that I had been trying to put into words. The only element I changed up was the material and the back bow. I thought FOR SURE I would be wearing a crepe gown on my wedding day, and somehow I ended up with mikado (total opposite in case you aren't familiar in the textures). Mikado is a heavy structured material and crepe is thinner with flow. The bow on the back of the dress was initially not my favorite, but it definitely just looked better with the train. Something that I also loved about my dress was that it had a "two-in-one" feel to it. Since the train was detachable, it was almost as if I was wearing a totally different dress once it was off. I think the train was perfect for the ceremony and the dress by itself was also perfect for the reception. Research Designers/Instagram Accounts: One of the biggest reliefs for me was when I discovered how most designers have a specific theme or look to their dresses. After a month or so of researching, I could easily spot specific designers I liked, or didn't like. This will also help you decide on where to book your try-on appointments. Really love Berta dresses? Narrow down which boutiques in your area carry your specific designer. Pay attention to fabric, necklines and fit: This is where you will really develop a sense for what you like and don't like. Forget that you're trying on a nice white gown - look at the details and decide what you like and don't like about certain dresses. This will really help you narrow down choices for your bridal salon stylists. Be realistic: If you have a certain budget, be realistic on which designers fit into that category. This is also where research will come into play. Love Hayley Paige but can't afford the price tag? Search for designers who may have gowns that resemble the pattern or style you're looking for, but at a more affordable cost. 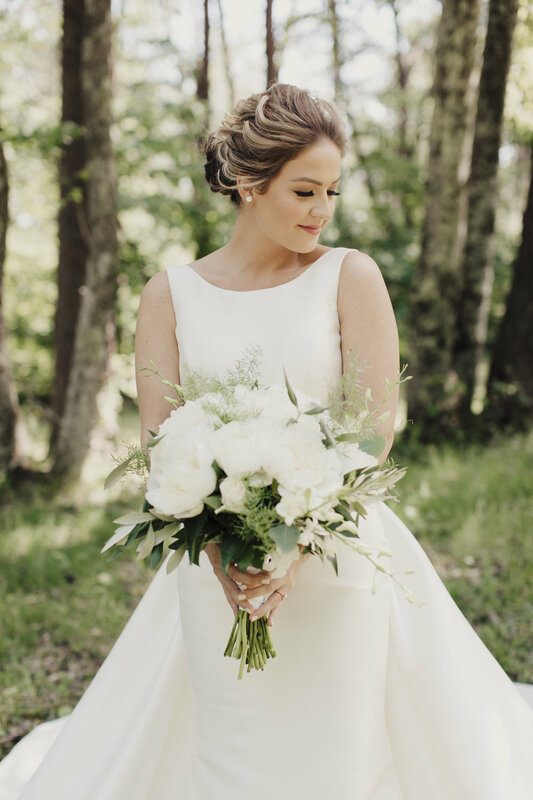 Play around with the idea of alterations: Love a dress but think it needs something extra?Most professional bridal salons will have an in-house seamstress that can make your vision become a reality. You can easily turn a strapless dress into an illusion neckline or simply add cap sleeves, off shoulder sleeves, etc. I've seen some pretty awesome transformations! Are you recently engaged? Which designers do you love? What style of dress are you going for? I'd love to hear about it! Congrats!